PRARI is an Open University social research project focused on world-regional social governance and social policy. PRARI examines the scope for enhancing the effectiveness of the contributions of regional organisations and regional integration processes to poverty reduction and the promotion of social equity and inclusive development. Professor Nicola Yeates is project Principal Investigator. 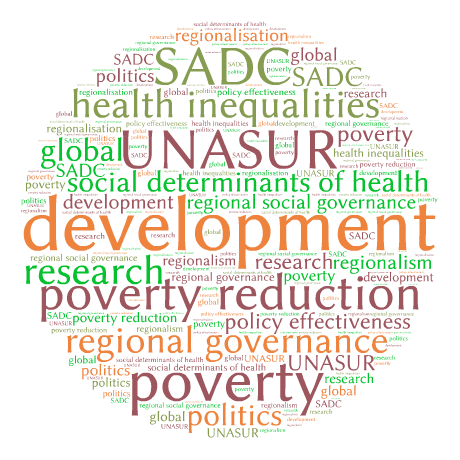 PRARI was funded by the UK Economic and Social Research Council (2014-2015) and involved the University of Southampton, UNU-CRIS, SAIIA and FLACSO. This Open University project’s research agenda continues to develop in collaboration with selected UK and international partners. This website and its content (PRARI) by The Open University is licensed under a Creative Commons Attribution-NonCommercial-ShareAlike 4.0 International License. Based on a work at http://www.open.ac.uk/socialsciences/prari.